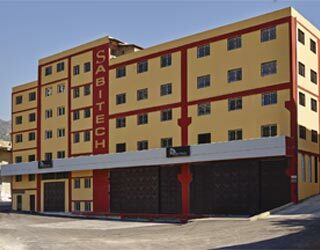 SABITECH Co.ltd was founded by a group of persons who have a combined experience of more than 30 years in the industry. People who work in the company and those who lead it have excellent expertise and lengthy experience in design and manufacturing of bakery equipment. Our engineers have developed an innovative design that meets or exceeds the industries expectations in the 21st century. The performance and appearance of the manufactured lines and machines reflect our attention to every detail. The machine is simple and reliable which is the synthesis of diligent planning and design to give to the customer a product of excellent performance, durability, user-friendly operation and maintenance free. In accomplishment of our objectives toward our customers SABITECH is offering a wide range of bakery and pastry machineries for the production of various European bread and specially the French bread.